Nothing can damage your vehicle inside and out, more than a harsh Indiana winter. Therefore, you must do everything in your power to protect your investment; otherwise, it will lose its value. But what can you do to help protect your vehicle from the elements? 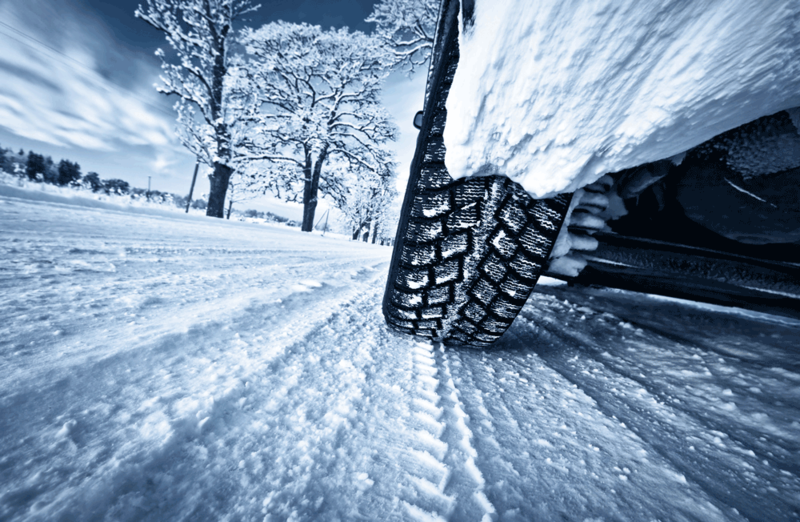 Here are four things you can do to prepare and protect your vehicle for the harsh winter ahead. Engine coolant or antifreeze is the first thing you need to check before the winter rolls around. Antifreeze will keep your engine from freezing when the temperatures drop. You can buy a kit from your favorite auto parts store that will tell you if you have the proper amount of coolant mix to keep your engine from freezing. The windshield wiper fluid you use during the warmer months won't cut it in the harsh freezing temperatures of winter, because that particular blend could end up freezing upon contact with your windshield. However, windshield wiper fluid that's designed for winter use won't freeze on contact. Additionally, the winter blend windshield wiper fluid could also help loosen the ice and snow that has accumulated on your windshield making it much easier to clear. The colder it gets, the thinner you will want your motor oil to be. The viscosity of your engine's oil should be lower in the winter. The first number in the oil specification is the number that indicates the viscosity of that oil and the lower the number the better when it comes to winter use. The snow, ice, dirt, rocks, salt and other debris will quickly damage your vehicle's exterior and could do so in just one bad bout of winter. It freezes, the city treats the roads with sand and salt. You then drive on those roads and your vehicle is constantly pelted with what is basically a salty, sandpaper like substance moving at a high rate of speed which will cause damage to your vehicle's surface.Then another storm comes along and the same thing happens all over again. The only way to prevent damaging your vehicle's surface is to have an Opti-Coat coating applied. What will this do for you? Opti-Coat is 100 times thicker than wax and bonds permanently to the factory coating. This will protect your vehicle's surface and it won't delaminate over time. An Opti-Coat will absorb the environmental damage sustained from harsh winters and other acidic environmental substances that typically damage a vehicle's surface, unlike the factory coating. An Opti-Coating won't etch or dissolve when pelted with harsh environmental substances, and your vehicle will maintain a clean, clear, glossy coating for many years to come. Don't put off preparing your vehicle for the winter. If you wait, it might be too late. Once environmental damage to your vehicle is done, it's usually not something that can be reversed and made to look like new again. An Opti-Coating is a small price to pay to preserve the value of your investment. If you would like more information about treating your vehicle with Opti-Coat, as well as other vehicle protection products, please contact All-N-1 today. Let us show you just how cost effective proactively protecting your vehicle can be.